SecuraSoft DMG Viewer is proficient software to open, view & read Mac OS X .dmg files in Windows 10 / 8 / 7 and previous editions. A mountable disk image which is created in Mac OS X is called DMG file which can only be accessed by using DMG file opener software. Supports to open multiple dmg files one by one. Option of search filters to find some specific file type in large DMG file size. DMG viewer supports to work with Windows 10, 8, 7 etc. DMG File reader software is useful to open Mac OS X DMG files emails in all editions of Windows operating system. 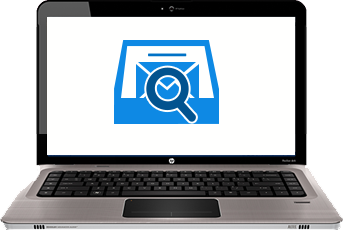 Important mail files in DMG file can be easily read by using DMG viewer tool as it supports to read DMG file of both Read-Only & Compressed type. 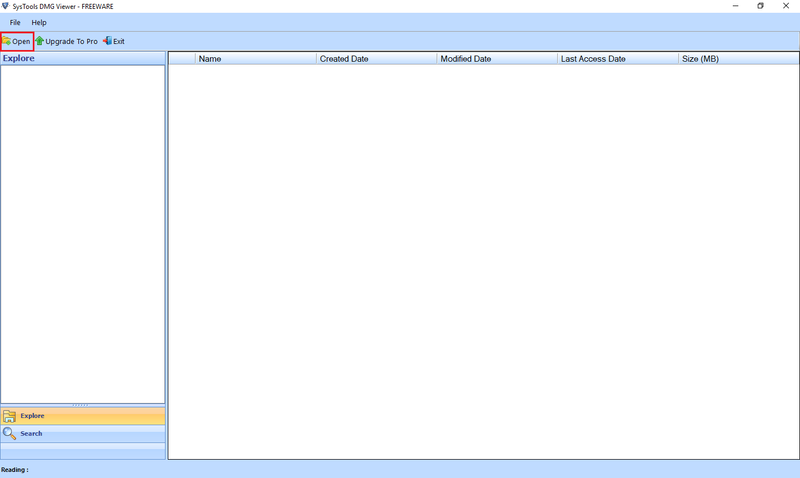 Any number of DMG files can be added in this DMG File viewer software but at one time only single file can be added. Multiple DMG files can be opened and viewed by using DMG reader tool one by one. The software shows the hierarchical structure of files and folders in its preview pane. 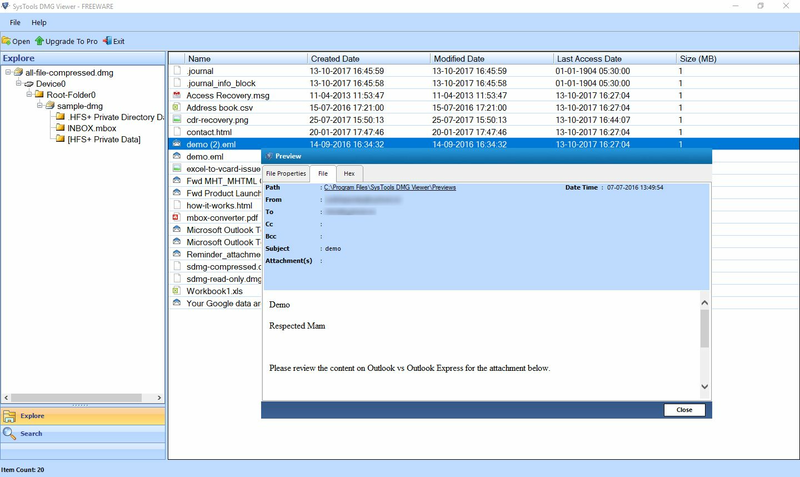 By selecting of any desired files, the preview of emails with details data like file name, created date, file size, modified date, and last access date can be seen on the right pane. Click the file to get its preview. 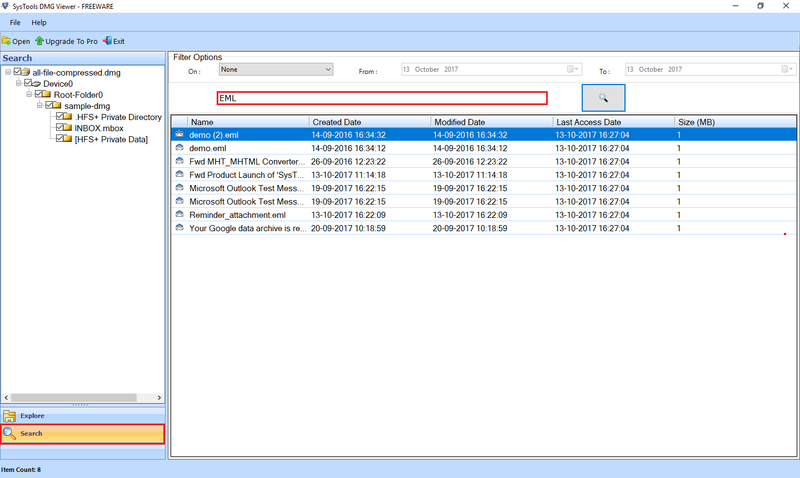 DMG File Viewer software provides an option on the left pane of Search tab using which desired important files can be filtered out. The files can be searched according to modified date, created date & Last accessed date, for a specific date range or any text. DMG file viewer is the best software to open .dmg file in windows 7, 8, 10 and also in earlier editions of Windows OS. It supports to open DMG file of Mac OS X in Windows system of all versions. This DMG File reader provides the complete preview of DMG file items. You need to double-click the file to read & view DMG file contents in the preview window. It also displays the selected file properties, its preview and hex view tab. "I had never been thought of accessing and opening Mac OS X DMG files in Windows, DMG File reader is a magical tool which makes it possible and supports for all Windows 10, 8, 7 and much more. Thanks to its development team!" 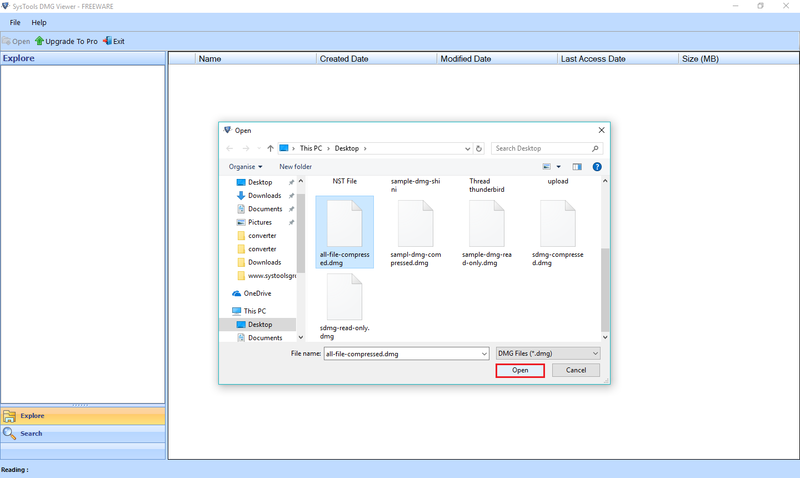 "I would recommend this DMG file viewer which is the simplest software for opening the .dmg file in Windows to all the users who required to do this. This has a very simple interface so that anyone without any technical expertise knowledge can deploy this. Go for it." A mountable disk image which gets created in Mac OS X is called DMG file. It may also contain compressed raw block data and it may be sometimes encrypted. This DMG file is basically used by software installers of OS X which can be downloaded from the Internet and when it gets opened, a virtual disk can be mounted on the desktop. How DMG File is created? The DMG File is created by built-in application Disk Utility in Macintosh operating system. Disk utility creates the disk image of Mac OS data items in .dmg file format which is supported by only Macintosh OS. To open & view this DMG file in Windows OS, a suitable professional third - party solution will be needed. How DMG file can be Opened? The disk images DMG files can be opened only by using the Apple Disk utility which can be founded on Apple computers with Mac OS X. These files are Mac specified and cannot be opened in Windows. To open & view DMG files in Windows, DMG viewer software is proved to be helpful which makes the DMG file accessible in Windows OS.